Eye care professionals specialize in understanding how the human eye really works, as well as diseases and conditions that affect your vision - many of which do not have obvious symptoms. Eye doctors know how age and risk factors affect vision over time for young and old, and they understand the benefits and features of corrective lenses including eyeglasses and contact lenses. Looking for an eye doctor in Oakville or Hamilton, Ontario? Dr. Tracy Brodie opened her Optometry practice in Burlington shortly after she graduated in 1987 with Honours Bachelor of Science and Doctor of Optometry degrees from the University of Waterloo. As her practice has grown, she has relocated several times with her current downtown location boasting state of the art equipment and an award winning optical boutique. Twenty years ago, she was one of the first Optometrists in the area to offer vision therapy to children with vision-related learning problems. Dr. Brodie has recently updated her vision therapy program and added services in Behavioural Optometry. Behavioural optometry takes a holistic or “whole-body approach” to eye care. Only part of vision is seeing something singly and clearly; your brain also has to interpret the signals that it receives from your eyes before you understand what you are looking at. Vision therapy can improve many visual problems such as strabismus (crossed eyes) or amblyopia (lazy eye) that cannot be improved by glasses or contact lenses alone. Dr. Brodie recently complete a post-graduate training program for vision therapy offered through the Optometric Extension program (OEP) in the US. Based on this training, she is happy to announce that in-office treatment is now available for improving eye and visual performance. For symptoms such as eye-strain, double vision, or poor concentration or focus, you might have problems with your binocular vision (how well your eyes work together). Dr. Brodie can develop a personal program for you, consisting of in-office and at-home activities that improve this type of vision problem, making your day-to-day visual tasks such as reading, driving, or using electronic devices much easier to perform. As you probably know, reading is a highly visual process. Sometimes poor eyesight or difficulty processing visual information can cause children and adults to under perform at school or work. For example, if your eyes have difficulty tracking the letters as you read, you may not understand the text very well, and this poor comprehension may slow your learning. Dr. Brodie can create for you (or your child) a personal vision therapy program to build a more efficient visual system that will help you read more quickly and comfortably, with the outcome that you can better learn and understand visual information. Starting in September 2016, Dr. Brodie will also offer sports vision therapy for athletes who want to improve their visual ability in their specific sport. In addition, Dr. Brodie is qualified to supervise rehabilitation following an acquired or traumatic brain injury. Concussions can seriously impair your vision, resulting in an inability to focus or concentrate, extreme sensitivity to light, and vertigo. Vision therapy, and sometimes along with spectacle lenses tinted in specific colours, can greatly improve the quality of life for a patient with concussion or other acquired brain injuries. Acquired brain injury can be caused by whiplash, motor vehicle accident, stroke, Parkinson’s disease and Multiple Sclerosis, just to name a few. Dr. Brodie also offers a range of tests using the latest technology to ensure you have the highest quality eye care. She uses an Optical Coherence Tomographer to take images of the cross-sections of the retina and optic nerve to detect and diagnose various eye conditions such as glaucoma and macular degeneration. The Retinal Camera records high definition images of the retina to assist in monitoring conditions such as hardening of the arteries (artherosclerosis), macular degeneration and glaucoma. In addition, the Pachymeter measures the thickness of the cornea, which provides important information about the health and condition of the front structures of the eye. Dr. Brodie is a member of the Ontario Association of Optometrists, the Canadian Association of Optometrists, and the College of Optometrists. She is a clinical associate of the Optometric Extension Program Foundation (OEP), and she is also an associate of the Canadian Optometrists in Vision Development (COVD). Dr. Brodie was a finalist in the 2015 Burlington Chamber of Commerce Business Excellence Awards. She has traveled to Italy, New York and France in search of unique and unusual frames to add to her award-winning selection of eyewear. In addition, a wide selection of contact lenses, both disposable and specialty lenses, are available. She also offers pre- and post-operative refractive laser surgery care, as well as post-cataract surgery care. In her free time, Dr. Brodie enjoys family, friends, food, and exercise. Dr. Facey graduated with honours from the University of Waterloo, School of Optometry in 2011. She is honoured to have been selected by her peers as the Valedictorian of her class. 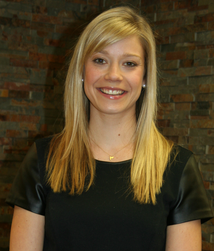 Prior to entering Optometry, Breanne completed her Honours Bachelor of Medical Science from the University of Western Ontario in 2007. Although Dr. Facey is well versed in full-scope optometry, her specific optometric interests include pediatrics and binocular vision. Dr. Facey is excited to announce the addition of in-office Vision Therapy for her patients. Optometric vision therapy is a customized program of visual activities designed to develop, improve and enhance people’s visual performance. This is an exclusive service offered by only a few optometrists in the Burlington area. We are excited that Dr. Facey is able to share her knowledge and expertise in this field to further benefit our patients. With the understanding that vision and learning are so intimately connected, Dr. Facey is passionate about working with children who have vision problems with the goal of preventing or improving learning-related vision problems. Dr. Facey’s passion and expertise has led her to a position on the Children’s Vision Committee for the Ontario Association of Optometrists (OAO). Through this committee, Dr. Facey works to advocate for children’s vision and highlights the importance of routine ocular assessments for all children. Dr. Facey is a Clinical Associate of the Optometric Extension Program Foundation (OEPF). She has completed the OEPF Clinical Curriculum: a series of specialized post-graduate courses that teaches the theoretical background and clinical practice of behavioural optometry and vision therapy. In addition, Dr. Facey is an associate of the College of Optometrists in Vision Development (COVD). In her time outside of the office, Dr. Facey is actively involved in the greater Burlington community, working to engage fellow young professionals in the downtown core in addition to her child vision advocacy work. You may spot her around town participating in some of her favourite activities, including running, tennis, and golf, as well as enjoying gelato down by the Waterfront Pier! 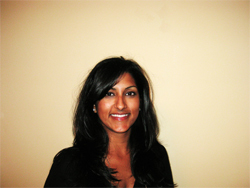 In 2003, Dr. Pathak completed her Honours Bachelor of Science in Biological Mathematics at McMaster University. She then went on to The New England College of Optometry in Boston, Massachusetts to earn her Doctor of Optometry degree in 2009. Her training focused on caring for an under-served population at the Dimmock Community Health Centre in Boston, MA; managing complicated ocular diseases including glaucoma, macular degeneration and diabetic retinopathy at the Veteran Affairs Hospitals in Brockton, Massachusetts, and Portland, Oregon; as well as a primary care setting in Hamilton, Ontario. She has extensive training and experience in the treatment and management of ocular diseases and a special interest in dry eye and contact lens fittings. As well, she provides pre and post-operative care for cataract surgeries and refractive laser surgeries. 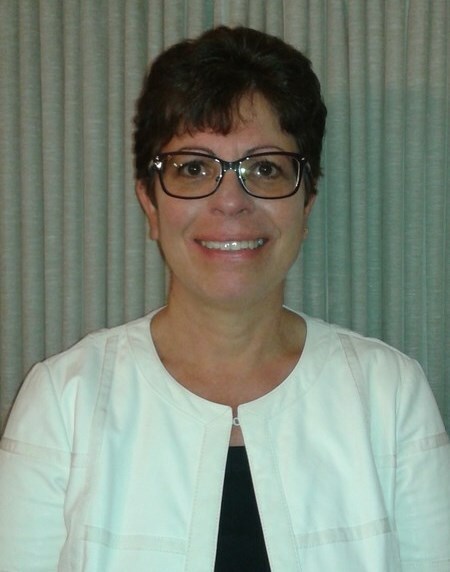 She has her board certification in ocular therapeutics from the National Board of Examiners in Optometry, and she is currently a member of the Ontario Association of Optometrists and the Canadian Association of Optometrists. Dr. Pathak currently lives in Burlington, Ontario with her husband and 2 children, and enjoys traveling, running and spending time with her family. Dr. Karen Bochnak received her Doctor of Optometry degree from the University of Waterloo, School of Optometry. 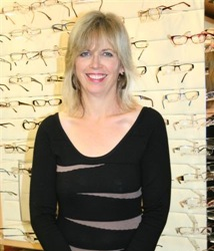 She has been practicing Optometry in Burlington for more than twenty years. Dr. Bochnak is very happy to join Dr. Tracy Brodie and Associates to provide comprehensive eye exams for adults and children. We welcome new patients.